Ordinary people can achieve extraordinary results in business, and for many these results are achieved through the coaching and support they receive. Coaching is a lever for unleashing potential, a tool for unlocking performance and providing the energy and momentum for change. Do you and your managers regularly coach your team to high performance? Do your team challenge interpretation barriers or false limits? Are staff in your business encouraged to think and act for themselves? Why not unleash the potential in your team ? 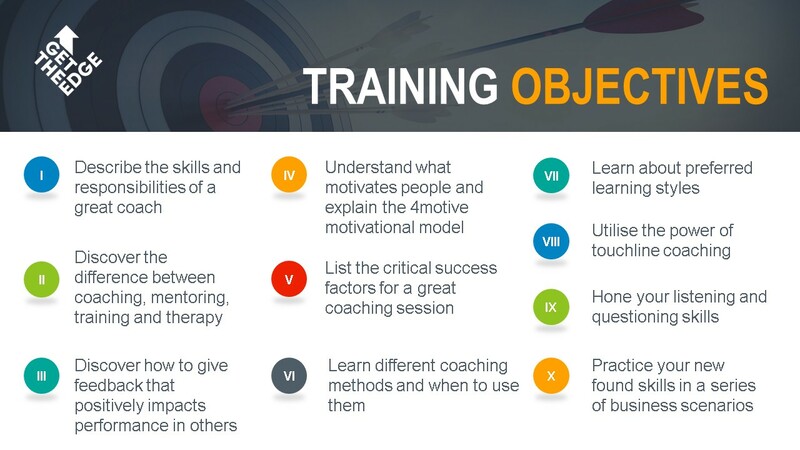 Coaching is the quickest and most effective method of developing members of staff. Good coaching and performance management leads to self-motivation and an attitude that is oriented towards solutions and continual improvement rather than problems and avoidance. 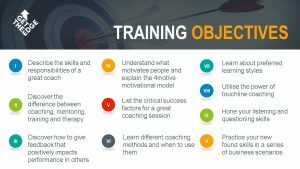 This is a fun, highly participative and practical workshop designed to provide you and your managers with the tools and skills necessary to become an outstanding coach. This Workshop helps turn managers into effective inspirational coaches.